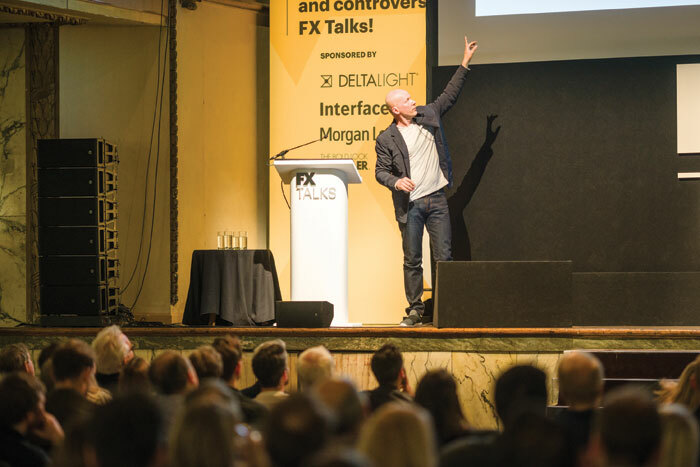 Michael Pawlyn, architect and founder of his practice Exploration Architecture, is in the vanguard of biomimicry in architecture, which formed the basis of his talk as a VIP speaker at last year’s FX talks. Michael Pawlyn is a name well known to many in the industry; if you haven’t come across his work, then you might have come across a TED Talk of his online, a book he has published (Biomimicry in Architecture) or perhaps you saw him speak at last year’s FX Talks discussing his years of research and creative outcomes in architecture and design featuring nature inspired biomimicry? Ahead of the next edition of FX Talks, taking place this spring, I caught up with Pawlyn to find out more about how a love for architecture, science and creativity came together to shape his career to take a more unconventional approach to architecture and design. Having already been familiar with nature inspired design it was learning this name that became the pivotal moment in his career and setting up his own architecture practice Exploration Architecture. Some 10 years ago he was also first introduced to the phrase biophilic design, which he incorporates into his design work, as seen with the Biomimetic Office Project, as discussed during his FX Talks presentation last May. ‘Biophilia is really a psychological perspective, which adopts the theory that because humans evolved from direct nature there’s a lot of evidence to suggest that they’re happier, healthier and more productive when in regular contact with nature,’ explains Pawlyn. Biomimic, biometic and biomorphic design are known as the three strands of biological inspired design disciplines. Biomorphic design, explains Pawlyn, is ‘mimicking the shapes of nature in design mainly for symbolic effect’, by which a project can often depict a very obvious visual translation. ‘Biomimicry I see as a very functional discipline; it’s looking at how functions are being delivered in biology and then learning from that to develop innovation,’ says Pawlyn, obviously sensing something of slightly confused student in me. It can be hard to keep up with the terminology, but as a good teacher – and regular speaker on the subject – he explains that these ideas are not necessary new, just ideas which have now been given their own official terminology. ‘They all have their own validity, but we’ve definitely focused more on biomimetic and biomimicry design,’ he adds. Biomimicry in architecture is something Pawlyn is keen to promote as a ‘functional revolution of sorts’, hence the name of his book, aiming to address the issues of resource depletion, toxins and a loss of biodiversity. 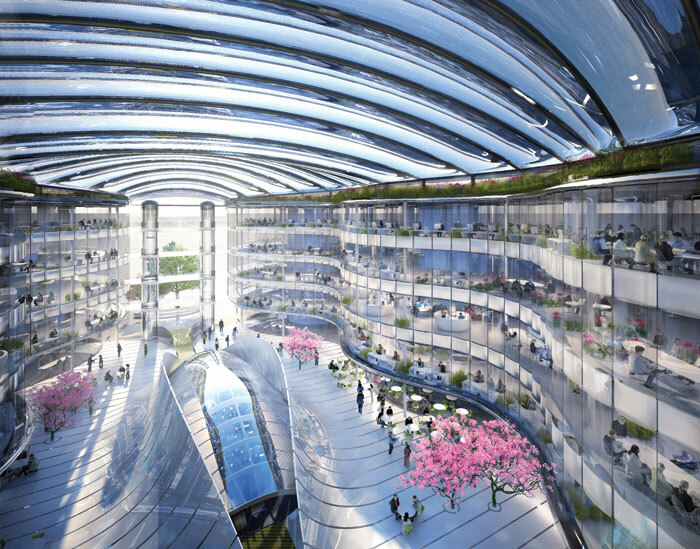 Since being established in 2007 Exploration Architecture has developed a reputation as being a pioneer of biomimicry through delivering projects that include the Sahara Forest Project, The Fjord IT Mountain Server as well as taking on consultancy work. It adopts a radical approach to architecture and design by gathering up an expert team to ‘drill down to the basis of the challenge’ and using biomimicry to develop new solutions to familiar problems. It’s arguably not a conventional way of working as an architecture practice and could be questionable as a business model. But Pawlyn is testament that after 10 years of working in his own business that, in The Biomimetic Office Project, this is not the case.